As a provider of exceptional clinical care and service, EvergreenHealth believes in helping those they serve achieve their healthiest best. 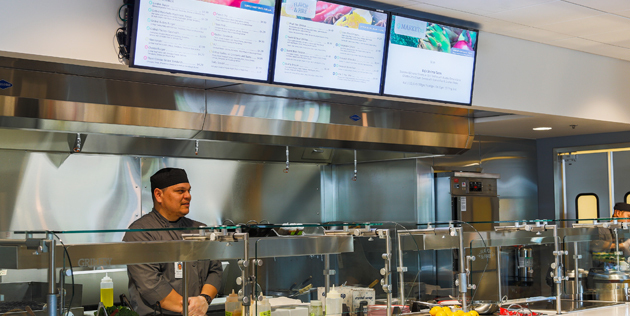 Through the the launch of their new cafeteria, Café 128, the hospital strived to support the health and wellness of their staff, patrons and community by offering fresh, local and sustainable meals. 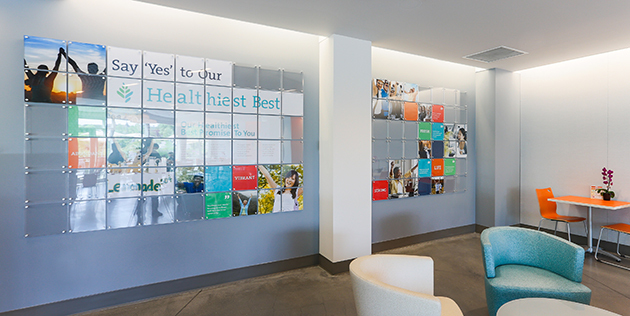 Arscentia helped EvergreenHealth achieve their healthiest best goals through various mediums: the naming and branding of the new cafe, menu board design, signage and environmental graphics. 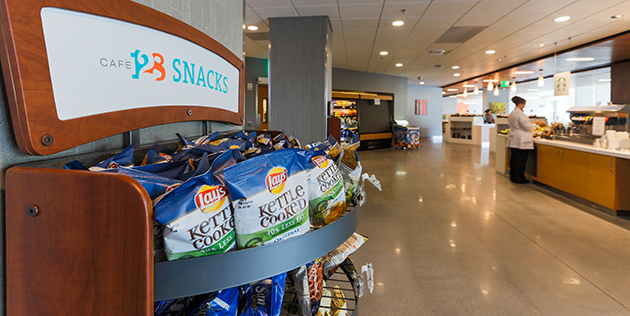 Using bright colors, organic patterns and clear messaging, Arscentia transformed a blank canvas into a fresh, inviting, functional and successful space.